Despite Christian Pulisic's goal in Trinidad, the US will not be going to the World Cup in Russia. 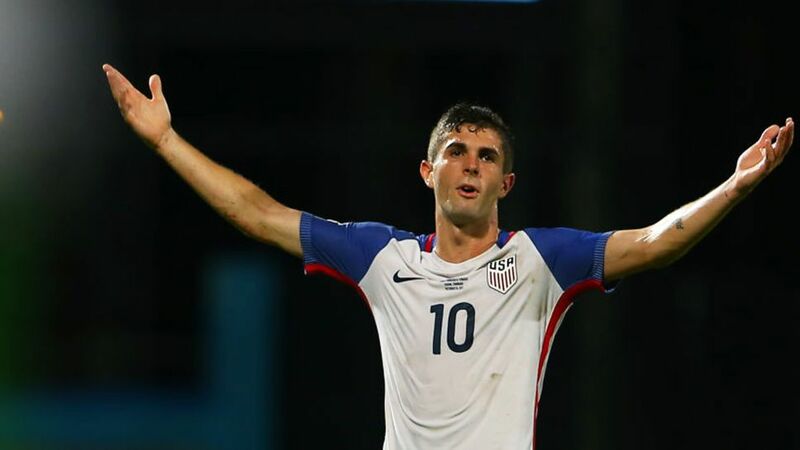 Borussia Dortmund’s Christian Pulisic scored his seventh goal in FIFA World Cup qualifying for the United States on Tuesday, but the Stars and Stripes fell short of reaching Russia 2018 after losing 2-1 to Trinidad and Tobago. The US needed only a draw to at least finish in a play-off spot, but they found themselves two goals down at the interval in Trinidad. Despite Pulisic’s eighth international goal on only his 18th appearance, and the efforts of Hamburg striker Bobby Wood, the USMNT were unable to find the equaliser that would have seen them progress. As well as their own defeat, an unlikely combination of results elsewhere in the CONCACAF section also conspired against Pulisic & Co. Mexico, already qualified as group winners, lost 3-2 in Honduras and Panama scored a late winner against Costa Rica, leaving the US in fifth place and outside the qualification places. Pulisic is next in action at the weekend when Dortmund host RB Leipzig at Signal Iduna Park, while Wood and Hamburg travel to Mainz.